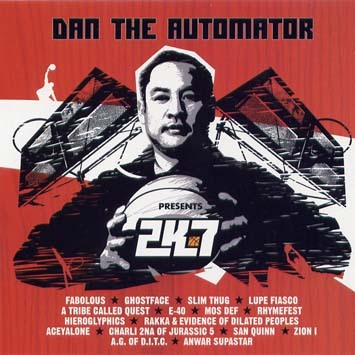 2K7, Dan The Automator's new album features some of the hottest rappers of today: Lupe Fiasco, Mos Def, Ghostface, E-40, Slim Thug, Fabolous and many more lend their skills to one of the most esteemed producer of his time. The result is a vibrant collection of classic hip hop burners. Says Dan The Automator: "From the start, I was interested of exploring the various facets of today's Hip Hop. It was a matter of making their style match mine, without forcing the rappers into what they don't sound like and at the same time keeping the record a continuous work. I think we did a great job. Someone from the Bay Area like E40 comes off equally as interesting as someone from the East Coast like Ghostface or someone from the South like Slim Thug".